Darren Scammell was just 53 when KPMG offered him a lump sum to retire from its partnership in March this year. The offer was early even by the standards of the big four accounting firm, which continues to enforce an unlawful clause in its contracts that states partners are expected to retire at 58, unless the chief executive decides otherwise. “I was initially quite surprised as I had a large portfolio of clients and was very good at winning new work,” said Mr Scammell. The Generation X-er made partner in 1999 when he was in his mid-30s but the big four business models require early retirement to make space for younger partners. He accepted the generous lump sum, the size of which he declined to reveal, but like other partners in the same situation, Mr Scammell found himself still wanting to work. He has subsequently joined mid-tier firm Grant Thornton as an audit partner with the goal of building up its financial services practice. At KPMG he has worked with clients including ANZ and NAB, international banks Deutsche Bank and HSBC and insurance group IAG. Mr Scammell’s experience of effective forced retirement is a common one for partners at the big four, which all require partners to retire by certain ages, which legal experts have warned is a clear case of unlawful age discrimination. EY also has an illegal clause in its partnership contract that states partners “shall” retire at 60 unless the CEO decides otherwise. PwC partners say they expect to retire at 55 while Deloitte said it had no partners over 62. Mr Scammell said that his KPMG clients were allocated to more junior, audit partners. “Three of the big four start retiring their partners in their 50s. These are the partners with the deepest experience and the gravitas to ‘hold their own’ in the boardroom,” he said. A KPMG spokeswoman would not comment on the firm’s retirement clause in its partnership contracts but said that partners retire at a range of ages. She added that about 20 of the firm’s 553 partners, or about 4 per cent, are aged older than 58. “Partners retire at a variety of different ages, some much younger than 53 and some older than 53, and for a variety of personal and professional reasons,” she said. KPMG also said decisions around audit partner rotation, which is mandatory every five years for the lead or review audit partner for listed and regulated companies, is based on client requirements. “Rotation is based on partners’ expertise and skills pertinent to each client. Clients’ needs are rapidly evolving as they navigate an increasingly dynamic and global marketplace,” the spokeswoman said. One executive search consultant said most big four partners wanted to keep working beyond their forced retirement age. “A reasonable proportion of them would be willing to stay within their firm if possible, though given it hasn’t been possible most just haven’t considered it as an option. Mr Jackson said he was typically in contact with up to five partners scheduled to be retired at any one time. “We are more likely to be speaking to those who are a few years out from their firm’s retirement age and wanting to get a better understanding of their options and how best to position themselves for roles after retirement,” he said. “I think firms are beginning to discuss their position [on the retirement age] but I have yet to see a real groundswell of an ‘anti-retirement age movement’. For his part, Mr Scammell has a clear vision of what he wants to achieve at his new firm. “Grant Thornton offers me the opportunity to continue as an auditor, which gives me client variety and a seat at the audit committee and, quite often, the board table of my clients,” he said. “I also like the respect and pride that being a partner of an accounting firm brings. “While the big four focus on the big end of town, there are many other institutions in the small and mid-sized space that are watching the banking royal commission closely. 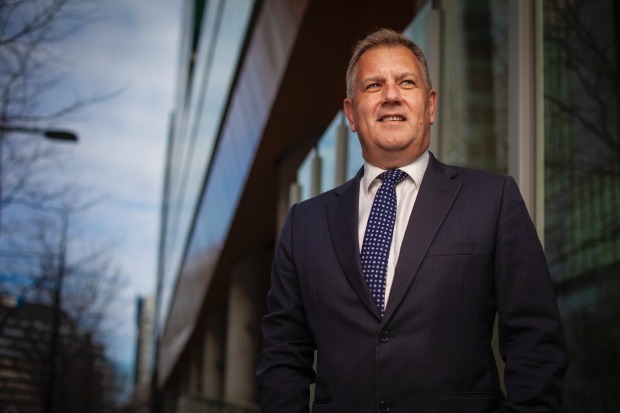 “They want to get ahead of the curve in terms of regulatory and corporate governance changes – and these clients run the gamut from mutuals, fintechs, insurance providers and superannuation funds.